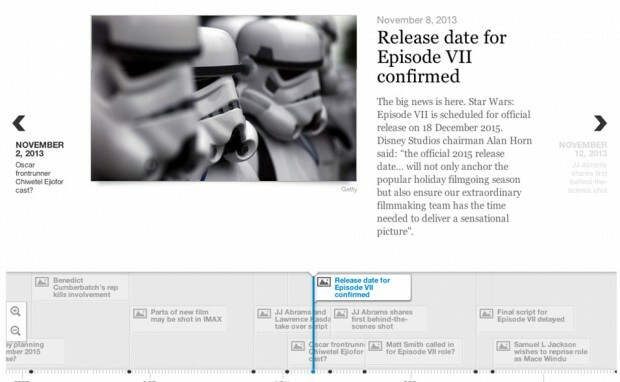 The rumors surrounding the next Star Wars film, Episode VII, have been flying around for years and more and more keep coming as filming moves ahead. Fortunately, for those struggling to keep up with all the rumors and where we are with the film, The Telegraph has put together an interactive timeline. 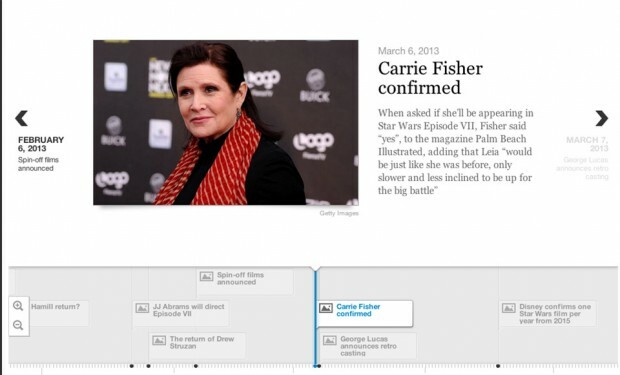 Scroll through the rumors, beginning with Disney’s purchase of Lucasfilm in October 2012 through the spin-off films, Carrie Fisher’s involvement, to the possible Pixar film. 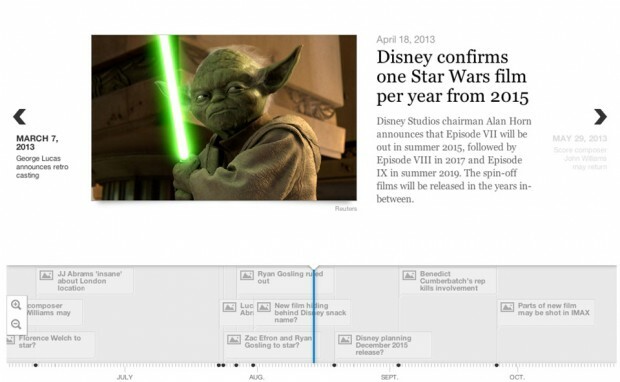 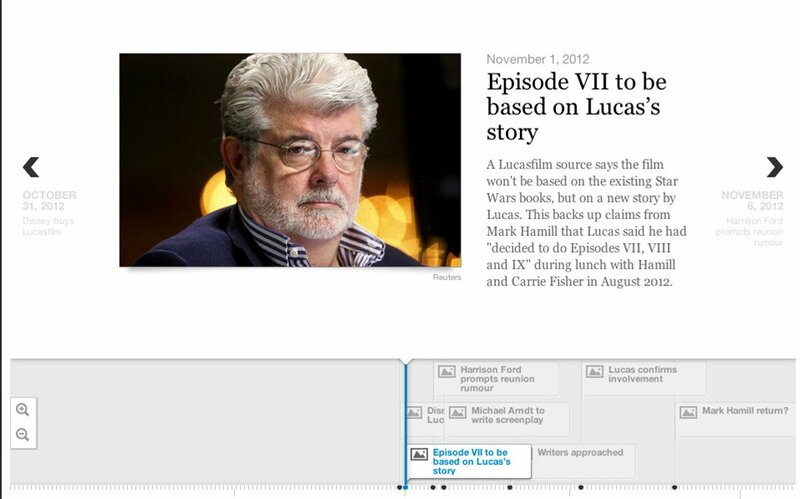 Visit The Telegraph to try the timeline for yourself and dive into all the rumors.